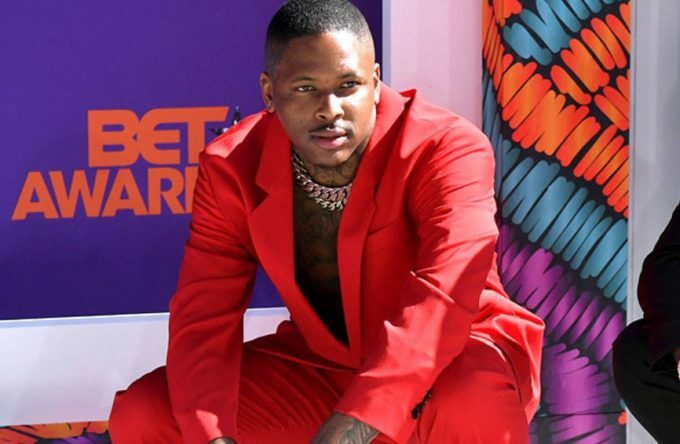 YG is in full promo mode for his forthcoming new album Stay Dangerous. Last night (Sunday), he performed his latest single ‘Big Bank’ at the BET Awards alongside the song’s guests, Nicki Minaj, Big Sean and 2 Chainz. Right after the conclusion of the show, YG took to social media to announce that his anticipated album will hit stores August 3rd, which is approximately 6 weeks away. Def Jam had earlier revealed the release date of June 22 but the Compton rapper had later clarified that it wasn’t the real date and that he will be unveiling the same soon. YG released the official video for ‘Big Bank’ just yesterday. It’s the second single following ‘Suu Whoop‘ that impacted back in March.